Charles Schumer (Donkey-New York) has introduced the so-called “Fix Gun Checks Act of 2011.” It does a lot to limit those who can legally buy a firearm. The part that has gotten the most attention is the limitations on people who have convictions, or even arrests for drug use or possession. This might lead even some liberals to oppose it, though outside of a few die-hard drug fans, I doubt it. The part that bothers me the most is the ban of private transfers. The bill would require background checks on ALL transfers. Additionally, it requires that all transfers be done through a licensed dealer or a law enforcement agency with a few exceptions. Requiring the background checks for ordinary, private transfers is a gross violation of our privacy. I realize that some states in our great country require a citizen to get permission from big brother to purchase a firearm, but the states that still value individual liberty require no such foolishness. (I’m sooooo glad I live in Texas.) This tyranical bill would unconstitutionally eliminate our freedom and override the states’ legitimate authority. If I read this correctly, I would be immune (as a purchaser) since I have a Concealed Handgun License. However, I still oppose this bill as an unwarranted and tyrannical intrusion on the rights of law-abiding citizens by an overreaching and hoplophobic politician. “Shall not be infringed” applies to everyone. In addition, the regulation of firearms is granted to the states under the Tenth Amendment. This is tyranny – soft tyranny, but still tyranny. Why aren’t conservatives fired up about guns? Seriously, why aren’t more conservatives fired up about 2nd Amendment issues? This is essential liberty. Even if you don’t own a gun, at least respect my right to own them. Realize that the same progressives who want to take away my right to keep and bear arms want to take away the liberties that you enjoy. Healthcare choice, dietary choice, school choice, financial choice, down the line… they want to micromanage your life. Firearms are an essential part of liberty. Anyone who threatens gun rights is an enemy to liberty. I don’t care how good their record is on anything else. VOTE THEM OUT!!! Primary them, replace them, impeach them. Gun issues are the canary in the coal mine. Watch suspiciously anyone who doesn’t believe in the right of honest people to arm themselves. They WILL reveal themselves in time as the tyrant wannabes that they really are. I don’t care how conservative they talk, that just makes them hypocrites, not conservatives. Even if the rest of their record seems conservative and liberty minded, they are not. Beware of them. Don’t vote for them. If gun control could stop criminals from getting guns, there would be no guns in Chicago. Only criminals, tyrants, and cowards fear an armed populace. Yes, I mean that. (Assuming, of course, that the populace has a decent respect for life, liberty, and property.) In that case, the only people who would not want law-abiding citizens to have access to arms are those who prey on others, and cowards. Criminals make their living by preying on other human beings. They take the fruits of someone else’s labor and offer nothing else in return. The predator prefers weak prey. This is true for both the four-legged and two-legged varieties. When a tyrant gains power over a formerly free people, one of the first things on the tyrant’s to-do list is disarming the populace. Tyrants excercise arbitrary and absolute authority over their subjects and constantly do things that their victims don’t like: unjustly taking property, banning free speech, kidnapping, torture, political imprisonment, murder, and genocide all come to mind. An armed populace might decide to fight back. An unarmed people can’t, at least not effectively. Some people are so worried that they will go to unreasonable lengths to avoid whatever worries them. Yes, firearms can be dangerous. However, they are not alone in that regard. The world is dangerous. Having firearms in the hands of criminals is a bad thing. This is something we agree on. However, punishing and restricting law-abiding citizens does little to stop criminals and harms the law-abiding. Why should a good person be punished because someone else did something wrong. That makes no sense whatsoever. If gun control could stop criminals from getting guns, there would be no guns in Chicago. Those who would disarm law-abiding citizens in order to disarm criminals may not be tyrants or criminals, but they are misguided. Other people are concerned that people might be accidentally hurt by firearms. They envision hunting accidents, handling accidents, and kids playing with an illegally obtained firearm. Yes, acidental shootings happen. They are tragic. However, accidental shootings are very rare. We hear about them more often than we otherwise might because they make sensational news – yes, I am a cynic where the media are concerned. (Add to that the anti-gun bias of the left-wing media and you have a recipe for distorted coverage.) More people are hurt or killed by cars accidentally, yet no reasonable person would want to ban cars to save those lives. More children are accidentally killed by bicycles and tricycles than guns. No reasonable person would want to ban them, either. There are more guns and gun owners in America than ever before. Accidental gun deaths are rare. Again, these people may not be predators, but they are misguided. Worrywarts obsess about improbable events and justify restrictions on law-abiding gun owners as necessary to prevent these already rare tragedies. However, as I said, they are already rare. The effectiveness of these restriction is dubious. Proper gun safety can be much more effective. Learn and practice the rules of safe firearm use. Teach your kids to properly respect guns. These basics will do so much more for safety than disarming law-abiding citizens. These cowards may not be criminals or tyrants themselves, but they are often their unwitting tools. Pennsylvania Rep. Robert Brady, a Democrat from Philadelphia, told CNN that he also plans to take legislative action. He will introduce a bill that would make it a crime for anyone to use language or symbols that could be seen as threatening or violent against a federal official, including a member of Congress. Many people reading this article probably missed that sentence. However, when I first read it, it scared me. Even laying aside the First Amendment, free speech implications of such a law, there is more there to scare anyone who pays attention. That is an incredibly arbitrary statement. “Could be seen” by whom? Since some Democrats and liberals routinely refer to conservative speech as “hate speech,” they might see any speech by conservatives as being “threatening or violent.” Certainly, much standard language would be considered criminal if such a law were to be passed. This restriction on speech is unconstitutional and would lead to an arbitrary application of an arbitrary law. One thing you can depend on in the American Left. They love to excuse criminals and punish the law-abiding. Gun control is one of the best examples of this. The vast majority of American gun owners are law-abiding citizens. We do not hurt innocent people. Many times, we even use our firearms to defend innocent people. Yet, the left loves to punish us for crimes which we did not commit. Rep. Carolyn McCarthy (D-N.Y.) is seeking to shamelessly exploit the recent tragic shooting of Representative Gabrielle Giffords to push yet even more restrictions on law-abiding Americans. She seeks to ban so-called “high” capacity magazines. She is being joined in this crime against liberty by Sen. Frank R. Lautenberg (D-NJ). As usual, the left is not letting a crisis “go to waste.” They are using emotionalism and untruths to get their way. Well, Senator, it seems that you are speaking without knowledge. I have such a magazine and I have never killed anyone. I use it occasionally at the pistol range to avoid having to reload as often. That is the reason to have such a magazine. Killing a fellow human has nothing to do with my ownership of the magazine. I own it because it is a useful tool. I also bought it because statists such as yourself don’t want me to own it. More and more Americans are waking up to their rights under the Second Amendment (and we have statists such as yourself to thank for it). There’s nothing like the loss (or potential loss) of liberty to awaken the desire for it. Another vocal supporter of gun control, Illinois Rep. Mike Quigley, told POLITICO that he hopes “something good” can come from the Arizona tragedy — perhaps discussion of a new assault weapons ban, sales at gun shows and tracing measures. I love how voices I’ve heard from the left have told us that we are paranoid about “gun bans,” that they aren’t out to take our guns away. Yet when the opportunity seems right, they return to one of their favorite causes: the disarmament of private citizens. Again, the left is speaking untruth. Whether from ignorance or malice I don’t know. I’ve heard (admittedly anecdotal) evidence from experienced shooters who say that they could duplicate that kind of fire even while using limited-capacity magazines because they can reload very quickly. There are even competitive revolver shooters who can generate an incredible rate of fire using moon clips. The assertion that someone would not need a certain capacity magazine for home defense is not only absurd, it is offensive. If I were defending my life, my loved ones, and my property I would want as much firepower as possible. When facing an intruder in the middle of the night, one does not know if the intruder is armed (or, for that matter, how strongly). One does not know if the intruder is drunk, stoned, or insane. I have heard testimony from police who emptied a magazine full of .45 ammunition at a stoned criminal who was charging them and it didn’t stop the criminal. As one officer put it, “he was dead, he just didn’t know it yet.” Certainly, the .45 caliber bullet is regarded as a “man-stopper.” Yet nothing short of a central nervous system shot would stop someone in that state. During the time it would take to reload (due to arbitrarily small magazines caused by hoplophobic lawmakers), an intruder, even a fatally injured one, could reach a homeowner and cause serious injury or death. When defending myself and those I love, I want to be able to have every advantage that I can to help stop the threat. Who defines “large” capacity? A Glock model 19 (such as used by the perpetrator of the Arizona shooting) has a standard capacity of 15+1 rounds. (That means fifteen rounds in the magazine plus one in the chamber.) The model 17 has a standard capacity of 17+1 rounds. These are perfectly natural capacities for these firearms. Yet, by the now defunct Federal “Assault Weapons” Ban, these capacities were considered to be too large. That law arbitrarily set magazine capacity at 10 rounds. In a self-defense situation, the need to reload (or running completely out of ammunition) due to arbitrarily small magazines could spell disaster. Again, the left loves to punish law-abiding gun owners for the crimes of others. According to a story in the Dallas Morning News, permits for the concealed carry of handguns are on the rise in Dallas/Fort Worth area suburbs. The story also says that the number of women obtaining permits is up 40% over the previous high in 1996. The article also contradicts the left’s stereotype that those seeking permits are somehow anti-government extermists. Although the number of Texas handgun licenses issued last year spiked to nearly 139,000 from about 86,000 in 2008, Bateman said he didn’t attribute that to Obama’s election or national Democrats’ policies but to gut fears for personal safety. When concealed carry permits first became available to the public in Texas, those seeking permits were “really hard-core hunters, hard-core Second Amendment folks.” according to former state Rep. Ray Allen, R-Grand Prairie who helped to write the state’s original concealed carry law. Now, however, the demographics of those seeking permits have changed and broadened. This mirrors my own experience with concealed carry. The law allowing Concealed Handgun Licenses in Texas was written in 1995. At the time, I was unaware of the law and remained so for many years. 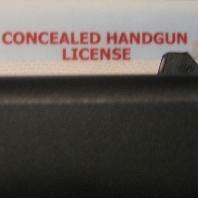 Only within the past couple of years did I become aware of the presence of the Concealed Handgun License. At the time, I was indifferent. My belief in individual liberty and the second amendment meant that I was supportive of law-abiding citizens right to obtain and use these licenses. However, I had no desire to obtain one for myself. At some point, I can’t really say when, I decided that I might like to get my CHL. Now I have it. I’m no expert or enthusiast into the world of firearms. I don’t enter or even watch firearms competitions. I’m just a man who wants to exercise my rights under the U.S. Constitution and the laws of the State of Texas. I’m here to offer my experiences and opinions.